Wednesday 28 March, 2018 – Hamody and friends in the camp located 25 kms east of Mosul. Hamody has now received the sunglasses and eye drops to help relieve his symptoms. He is not sleeping most nights and crying in pain. The doctor at the camp has confirmed that Hamody needs eye surgery – the same as Sheyma (see her separate blog). So we are looking to raise USD1000 asap to cover the surgery, medication, food and taxi. An anonymous donor has contributed the full amount for Hamody to receive the eye drops and sunglasses for three months. His case will be reviewed in three months and if surgery is required we will update his situation. Our friend Darya Mustafa has ensured Hamody see an eye specialist for a review of his condition. The eye specialist has recommended that Hamody does not need surgery but he needs sunglasses for 3 months and eye drops. The cost of this treatment is USD175. Hamody has lost one of his eyes. He is losing the sight in his second eye and he needs urgent surgery. Four months ago, eye surgery was recommended by a doctor in Mosul costing USD900. Hamody’s mother is a widow with four children and cannot afford the cost of the surgery. Three year old Hamody and his mother and siblings live in the Hassan Sham U3 camp, 25 kms east of Mosul. The eye surgery will save his remaining eyesight. 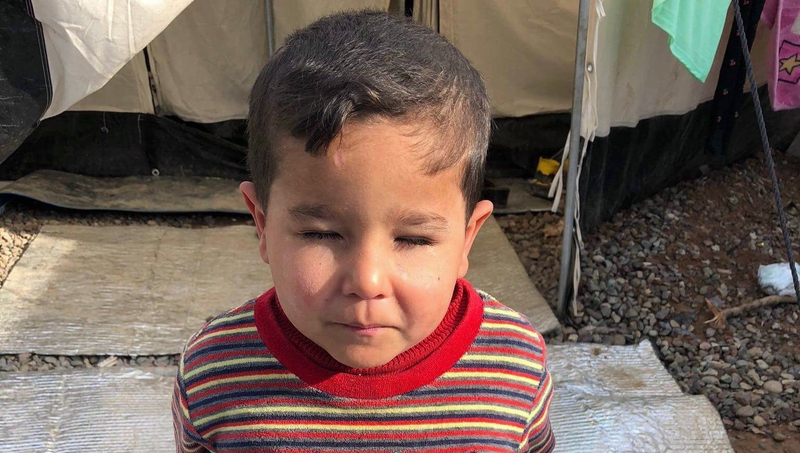 Please join us in funding eye surgery as soon as possible to save the remaining sight that Hamody has and to provide a much better outcome for him.